Your humble blogger has observed that this year there has been a sharp decline in the incidence of spam. Although the quantity is being reduced the quality is much improved. Spam is now being more carefully crafted and targeted. 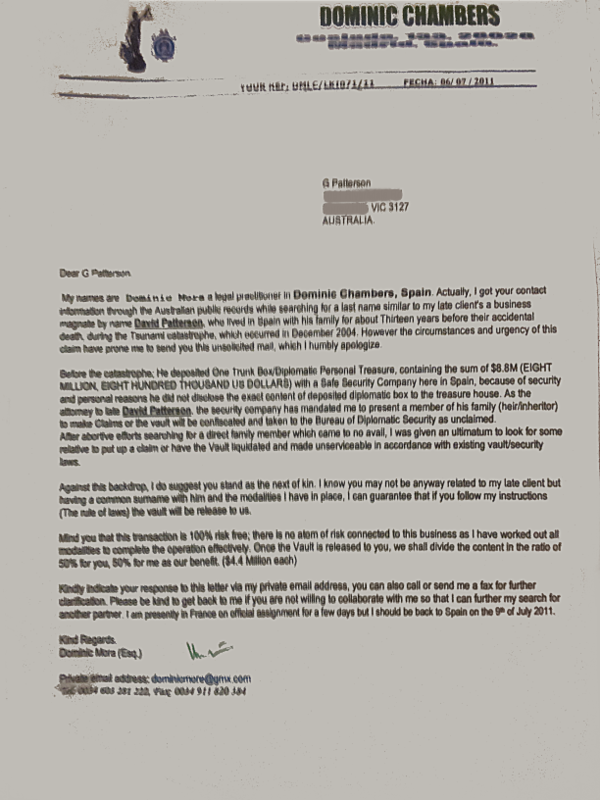 Around about mid July your humble blogger was surprised to receive a letter purporting to be from a solicitor's office in Spain. It was a real blast from the past ... A genuine example of plain old fashioned "mail fraud". The mail fraud (shown below) was delivered by ordinary mail. Anyone who has seen the so-called Nigerian style (sometimes referred to 419 style) spam would have recognised it for what it was. If your blogger could use Spam Assassin to scan incoming ordinary mail, this one would have gone straight into the recycling bin. Although it uses an old medium, the approach is modern. The contact details are an email address dominicmore@gmx.com, and a Fax number. The email address has been obtained from GMX.NET, a German ISP, with a good reputation. 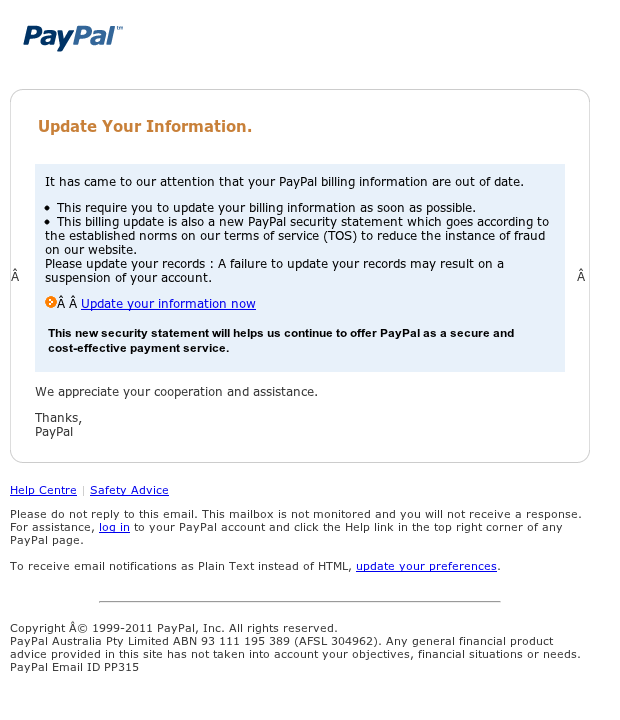 There are numerous references to this scam online. The scammer may have harvested details from Domain registries. On the face of it, this is a European scam. This was detected, the same day that the spam arrived. Which is quite impressive. Your blogger can't help humbly asking if Microsoft Outlook would have detected the spam as quickly. Generally it takes Bing at least 24 hours to copy the results from Google. The best advice for Outlook users is Don't click on anything! ... In fact Don't even read your emails!.